Symptoms and signs of Cerebral Palsy include movement and coordination problems, stiff or weak muscles. Children with cerebral palsy face a number of specific physiological and psychological problems throughout life. 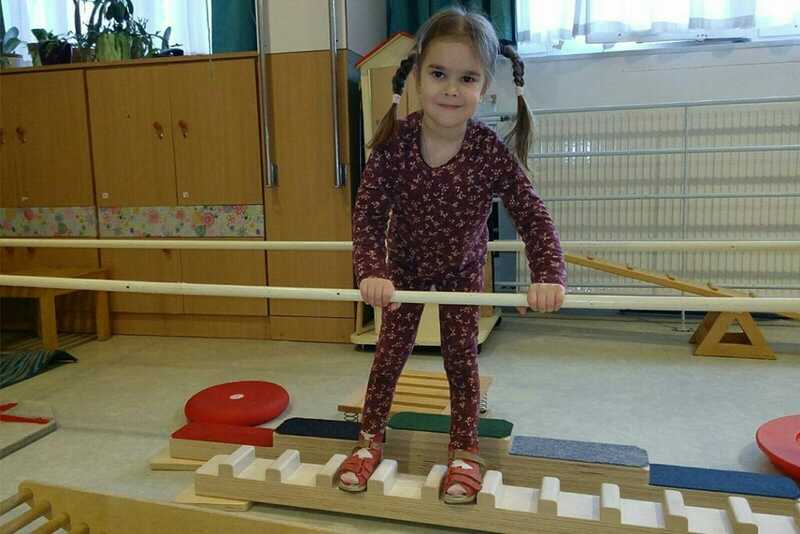 A 6-year-old child Stasya Yakimovich has a mother, grandmother and cerebral palsy. She does not only have a wheelchair and … father. He left the family when Stasya was 2 years old. Cerebral Palsy for the girl from Svetlogorsk did not become a hopeless calamity. At the age of 4 the girl start walking … with a walker. In spite of mental backwardness Stasya was going to go to an ordinary school. Psychologists say that as time goes by, Stasya will not differ from her healthy peers. However her mother and grandmother concern about it much more, than the girl does. Stasya has a strong character: silent, car toys instead of dolls, the only friend is a grandmother. But after the hip surgery (children with cerebral palsy are born with a dislocation) and spasticity – Stasya wasn’t able to walk again. Kind-hearted people from Svetlogorsk – town where the family lives – have helped to collect the amount of money needed for the rehabilitation in the Peto Institute (Hungary). And now the girl can walk with assistance. 1 kilometer per two hours. It’s really slow! Let’s help Stasya to “live faster”. The cost of the wheelchair is 1450 USD.